While the ‘plot’ and colorful cast of Greek monks in “Hiking the Holy Mountain” seem like they came from a movie script, this is very much a true story! 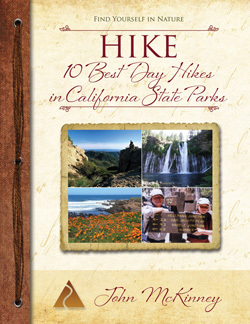 Hiking the Holy Mountain Book Trailer Video Watch now! 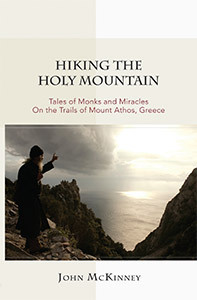 “Hiking the Holy Mountain: Tales of Monks and Miracles on the Trails of Mount Athos, Greece” is the story of a hike like no other, encounters with a Greek monk/ iconographer named Father Daniel, amazing trips back in time and in faith to Mt. Athos, and miraculous events that occurred on—and off—the Holy Mountain. Mixed in are vivid tales from the lives of saints: St. Barbara imprisoned in a tower by her pagan father, dog-faced St. Christopher, the heroics of St. Constantine. How do you tell a story like this in two minutes? Well you don’t. 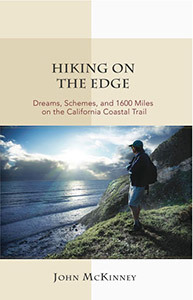 But we figured that if a movie we really like that tells the story of a spiritual hike, “The Way,” could hook viewers in 2:32, we could too. On this amazing path we call life, we’re often compelled to change direction. I told the monks I was only hiking to Saint Anna’s to pick up the trail to the top of the mountain. How come they didn’t believe me and started asking me all these personal questions about my family? On the trail between earth and heaven, anything is possible. We never hike alone. Credits: Efharisto (that’s ‘thank you’ in Greek) to George Mamalakis, editor and music; Greg Pantages, narrator; Spiro Deligiannis and Zachary Deligiannis for photos and video clips.